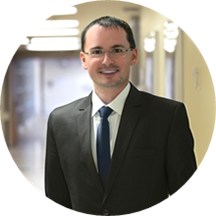 Lukasz Gierut is a trusted and reliable family physician and primary care doctor serving the community of St. Cloud, FL. Dr. Gierut attended the Midwestern University, Chicago College of Osteopathic Medicine, Doctor of Osteopathic Medicine, where he received his medical degree and completed his residency at West Suburban Medical Center. Dr. Gierut is a part of St. Cloud Medical Group and is affiliated with Saint Cloud Regional Medical Center in Saint Cloud, FL. He is board certified by the American Board of Family Medicine and is a member of the American Academy of Family Physicians. Dr. Gierut is dedicated to helping patients receive the treatment they need so they can enjoy a positive and fulfilling lifestyle. He is sensitive to the uniqueness of each patient's situation and adapts his consultations and treatment options appropriately to accommodate individual needs and concerns. Dr. Lukasz Gierut, DO has no appointments on Zocdoc right now.